In Victoria, Keno is only offered by Tabcorp in eligible clubs, hotels and wagering outlets. At present there were 701 Keno outlets and approximately 1268 Keno terminals in Victoria located at clubs and hotels. Keno games in Victoria run every 3-3.5 minutes, and incorporate a double-or-nothing feature, which is called Heads or Tails. Where to play Keno in Victoria? Before the draw begins, you need to select your own numbers or opt for the ‘kwikpick’ option. You can choose between 1-40 numbers, with pay-tables and payouts differing depending on how many numbers you choose to play. 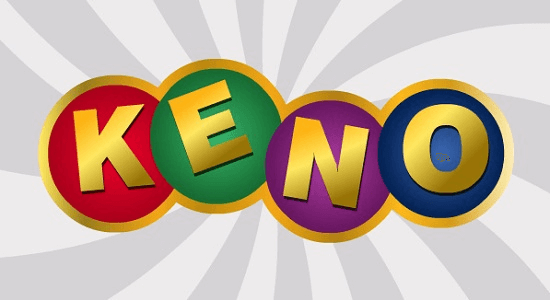 Keno games in Victoria offer jackpot payouts if you play 7, 8, 9 or 10 numbers per game. 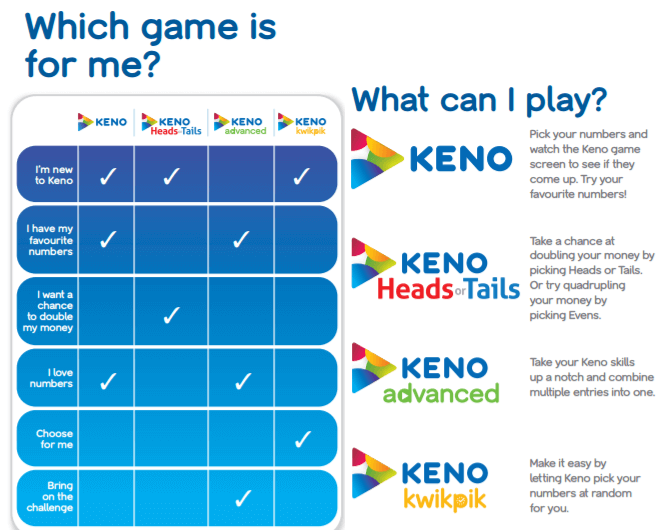 Depending on the venue you are playing at, you will generally have a choice as to whether you wish to play keno electronically via a touch screen computer or via a paper game card. The game number is displayed on your card or screen, so make sure you are watching and matching the numbers from the correct draw. Any bonuses and the Heads or Tails side game are also displayed on the card/screen. For the Heads or Tails game, you can select whether you think more numbers from the top half (heads) or the bottom half (tails) of the keno game gird will be drawn, and if you win, you are paid out double your original wager. You can also select the ‘even’ option that there will be an equal amount of numbers drawn from both halves, which pays quadruple your original stake. You can also play multiple entries during the one draw (keno advanced), where you combine groups of numbers to increase your chances of winning, and can also significantly boost your bonuses x2, x3, x4, x5 and x10. The minimum bet per game is $1. Keno online is very popular no matter where you go and that include Victoria. You can play keno in hotels while you wait on your taxi for the casino. You can play keno online in the casino as well, and if you plan on hitting up the town after dark but worried about missing your keno? There are no worries many of the clubs and pubs offer online keno. These types of keno games are typically held online and involve many local pubs and clubs as well. So have no fear keno is always near. Melbourne like many other places in Australia is absorbed with keno. Almost every pub has a version of the game either live draws with people pulling the numbers or a virtual version that plays every 3 and a half minutes. Not only do the pubs have keno but so do their hotels and many of their clubs as well. Australia is one of the countries where everyone knows what keno is and everyone loves to play. Melbourne fits well into that description. Not only does Melbourne play know and a lot of it they also enjoy gambling on other games such as races including greyhounds, horses, and cars. Melbourne will let you bet on pretty much anything that moves, if you want to bet they will not tell you no. You can play in person at many locations with many other people or you can sit at home and play online just like many people choose to do in Melbourne. Just remember when playing in person you are going to pay to play when playing online you have the opportunity to play for free. This entry was posted in States. Bookmark the permalink.